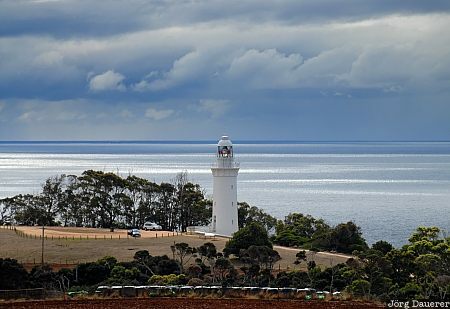 Clouds above Table Cape Lighthouse at the Tasman Sea in northern Tasmania, Australia. This photo was taken on a cloudy day in April of 2007. This photo is part of the exhibition Lighthouses (February 2010). This photo was taken with a digital camera.